Kuala Lumpur (or KL) is the capital of Malaysia and the hub of Southeast Asia as it is home to budget airline, Air Asia. What I love about KL is the blending of old and new and the rich cultural mosaic of its Malay, Chinese and Indian communities. KL is a sprawling city of gleaming skyscrapers, glistening malls, colonial architecture, tasty street food and friendly people. Don’t just use it has a hub; spend a few days enjoying the modern and traditional elements of this city. There is lots of things to keep families occupied in KL. The city grew out of the jungle with the tin mining boom of the 19th century and continued with the rubber plantations in the 20th century. It was the centre of Malaysia’s economic success story, which you see evidence of in its opulent historical buildings and modern shiny skyscrapers. Having lived in Malaysia, KL is a city we are very familiar with and after a return visit this year, we are sharing our favourite things to do in Kuala Lumpur with kids. The Petronas Towers have become the symbol of Malaysia and should be first on your list of things to do in Kuala Lumpur with kids. The 88-story Islamic-style building was the tallest in the world until 2004. 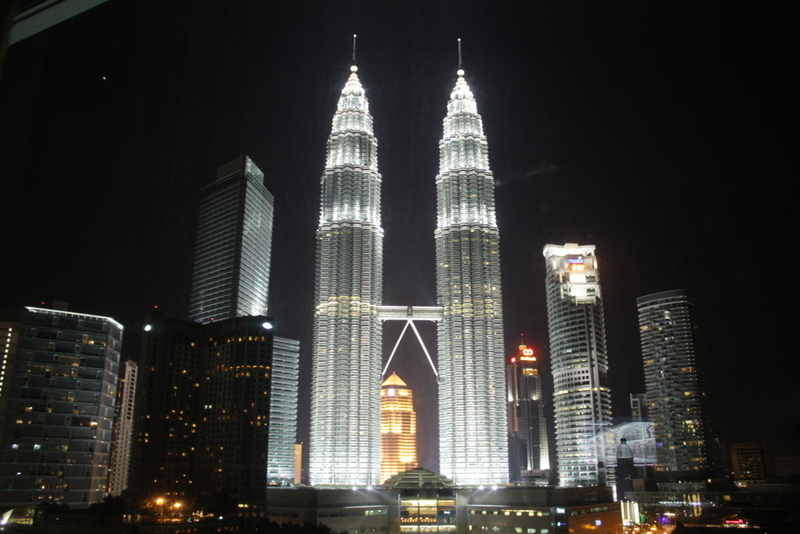 It is worth visiting the Petronas Towers twice, once during the day and once during the evening to see it all lit up. This is a great free activity to do in KL and the best view of the towers is from the KLCC park. This park is also home to a wonderful playground and water play area (more on that below). Another great way to appreciate the Towers is by going up to the Skydeck that connects the two towers and Observation deck. From the Skydeck, you can get wonderful views over KL and can really appreciate this feat of engineering. The Observation deck, located on the 86th floor gives you 360 degree views of the city. Tickets aren’t cheap and it is best to book the timed entry tickets online in advance. 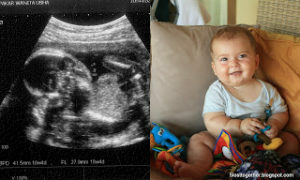 90 MYR/adult, 33 MYR/child 3-12. This is a great science centre located on the 4th floor of the KLCC mall and is one of the best things to do in KL with kids. It is run by the oil company Petronas and offers lots of great hands-on science activities for kids and adults. Through interactive exhibits you can learn more about space, geology, speed and physics. Midway through the science centre you can have a robot make you ice cream, which was a hit with our kids. It can get really crowded on weekends, so try to plan your visit for mid-week. Purchase tickets in advance and save 20% (needs to be done by phone). Tickets are timed entry and your visit will start with “The Dark Ride”, which you have to queue up for. This ride is not really a ride at all, but just a way for them to control the flow of entry into the science centre. The gardens, lakes and walking paths through the KLCC are a beautiful place to spend a few hours. Don’t forget to glance up every once in awhile to take in the beautiful Petronas Towers rising up from the park. Kids will love the giant playground behind the water feature, which makes for a great shady spot to escape the heat. Bring swimsuits as there is a shallow but large wading pool with water features for the kids to cool down in too. This theme park allows kids to try out various jobs through role plays in a mini city built just for them. Kids earn and spend kidzos ($) and learn what it is like to be a pilot, doctor, or 60+ other careers. Through fun role plays they test milk products, learn how to take professional photographs and get to practice reading the news. Our kids absolutely loved their day at Kidzania and it was amazing to see them enthusiastically trying out the various role play activities. The miniature city is really life-like and the staff all speak English and are wonderful with the kids. plan to spend a full-day there. They open at 10 am and since the role plays take 20-30 minutes each, you really should allocate a full-day to get the most out of the experience. visit during the week. There is often school groups during the week, but they often leave in the early afternoon. Weekends are really busy. You can take public transit out here (it is not in the city centre) but it requires multiple means of transport. Instead take a Grab taxi for approx 25 MYR/each way. Located at KLCC, this is a great Aquarium and great thing to do in KL when you need to escape the heat. They showcase over 5,000 different exhibits of marine life with lots of educational opportunities. The large walk through tunnel is the highlight for most visitors. Allocate about 2 hours to visit. You can purchase discounted tickets here. Wandering the streets of Chinatown is a great free activity in KL. The colourful and bustling area is centred along Jalan Petaling where you can buy almost anything! Chinatown just gets going around 11 am, so plan an afternoon or evening visit. 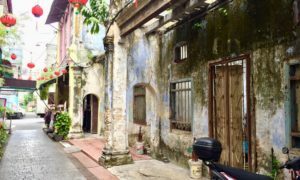 We like this 1.6 km DIY walking tour from Lonely Planet that starts at Masjid Jamek and takes in the major temples of the area and old Chinese shophouses. Combine a visit to the Colonial District with a visit to nearby Chinatown. This small area developed at the confluence of the Gombak and Klang Rivers in the 1880s. The city has really polished this area up for tourism and the old heritage buildings are looking great. Spend some time in Merdeka Square, the birthplace of Malaysian independence. 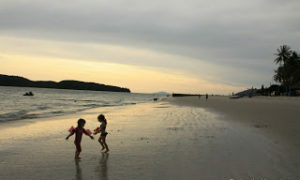 This large field (padang) is a great spot for the kids to run free. The “I love KL” sign is located in front of the KL City Gallery for your Instagram shot. You can’t help but notice the very impressive Moorish-style Sultan Abdul Samad Building across the street. Malaysian food is best tasted out on the street and no visit to Kuala Lumpur is complete without eating from the city’s many hawker streets. Jalan Alor, in Bukit Bintang is a favourite of visitors and has a great atmosphere in the evening. The street just swarms with people and the restaurants spill out onto the street with little plastic tables and stools. Prices are definitely higher here then elsewhere in the city, but it is worth eating here at least once. Some favourites to try are char kway teow, satay, BBQ meats and grilled fish. You can also taste exotic fruits from the street side vendors, including the king of Malaysian fruit: the durian. This Hindu cave temple is located 12 km north of the city, but definitely worth the effort. This temple complex is one of the most popular Hindu temples outside India. The giant (42.7 m) gold statue of diety Murugan greets you when you arrive. You have to climb 272 stairs to reach the cave temple entrance and there are lots of cheeky monkeys on the steps (don’t bring any food). The limestone caves are impressive on their own, but the Hindu temples inside and drawings on the cave walls are fascinating. Once you descend, reward the kids for their efforts with a fresh coconut. Don’t forget to make a donation. Even if you aren’t a shopper, escaping into Kuala Lumpur’s malls is a must for the air-conditioning. Malaysians love their malls and they are the perfect place to experience modern Malaysia. Suria KLCC and Pavilion are the most famous malls in the city and worth a wander. Kids will also love the amusement rides within the Berjaya Times Square Mall. KL is fairly spread out and the transit system is only okay. We found we spent a lot of time walking to the LRT (metro) or MRT (monorail) stations and they often didn’t get us exactly where we wanted to go. Taking a Grab, which is similar to Uber (Grab actually owns Uber Southeast Asia) is often much more convenient at a similar cost for a family. A family of four can use Grab, but larger families will need to use Grab 6-seater, which is only slightly more expensive. Download the app and request your ride with no need to input credit card info as you can pay the driver cash. The most popular areas to stay are KLCC, Bukit Bintang and Chinatown. You really can’t go wrong with any of them. We like Bukit Bintang because it is close to Jalan Alor for street food and shopping (Pavilion). Click here to check the best hotel prices in Bukit Bintang. For larger families, it might be more economical to book an Airbnb in one of the city’s high rises. We paid $60 for this Airbnb and were perfectly happy with it. If you haven’t used Airbnb before, click this link to save $50 off your first booking. You can find every possible type of food you desire in KL, however we love to eat street food. It is delicious and easy on the wallet. We always look for stalls that are busy and turning over food. Jalan Alor is a great tourist-friendly place to start, but you will find food courts with stalls throughout the city. Even the big fancy malls have food courts selling cheap classic Malaysian dishes. Food our kids like include satay, mee goreng, nasi goreng, nasi lemak (sambal on the side), roti and Chinese style meats and fried chicken and Indian breads at Indian restaurants. Of course we all love delicious fresh juices (don’t be afraid to order them without sugar as they often add tons of sugar) and sampling the different exotic fruits. I have done so little in KL save laying over a few days and visiting world class malls. Time to step it up with your rocking list. The malls are a pretty great place to hang out and that is certainly where the Malaysians go. Never been to this part of the world – would love to see the towers and street food – YUM! good tip about looking for the crowds! 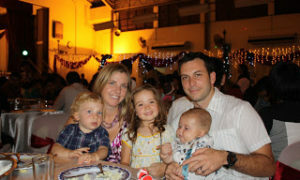 It is a great first stop in Malaysia…so much to do for families! I would definitely want to take the kids to Batu Caves. Kidzania sounds interesting too. I know we would doing a lot of eating. This looks like such a unique destination with so many varied activities. Thank you for your thorough post. I had an opportunity many years ago to visit Malaysia and I had to turn it down due to schedule conflict – something I still regret. This looks absolutely amazing.